The Client’s attention is particularly drawn to the provisions of clauses 6 and 8. Please note: “9. Cancellation and Termination” has been updated on 11 April 2018. 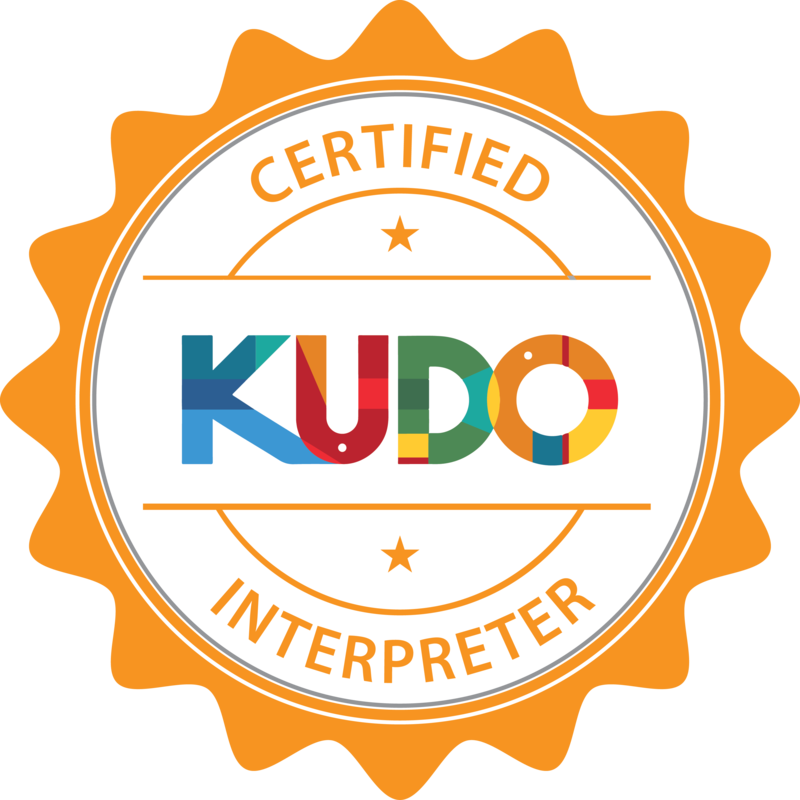 The Interpreter: means the individual(s) providing interpretation (and occasionally translating) services to the Client in the normal course of business according to the instructions of the Client. Interpretation Assignment: means the provision of Services by The Interpreter to the Client at a place and time requested by the Client. Order: the Client’s order for Services as set out in the Client’s purchase order form OR the Client’s written acceptance of the Supplier’s quotation. Services: the services, includes the Interpretation Assignment and is the preparation by the Supplier of a translation either in writing or verbally from one language into another language or any other translation related task for example revising, editing and proofreading, subtitling (the tasks detailed herein are not exhaustive) supplied by the Supplier to the Client as set out in the Specification. 2.1 The Order constitutes an offer by the Client to purchase Services in accordance with the Conditions. 2.2 The Order shall only be deemed to be accepted when the Supplier issues a written acceptance of the Order at which point and on which date the Contract shall come into existence (Commencement Date). 2.4Any quotation given by the Supplier shall not constitute an offer, and is only valid for a period of  Business Days from its date of issue. 3.2 The Supplier shall use reasonable skill and care, in accordance with industry standards and the terms of the Order, and shall use all reasonable endeavours to honour the start time of the Services and to meet the planned date of completion. Unless expressly agreed with the Client, the proposed date of completion shall be an estimate only and time shall not be of the essence for the provision of the Services. Any delay shall not entitle The Client to reject the Services, repudiate the Contract or withhold payment of the Charges. 3.3 The Supplier reserves the right to sub-contract all or part of the Order to a contractor or contractors of its own choice. 3.4 Posting or delivery to a carrier (including post, facsimile, e-mail) by Supplier for the purpose of providing the Services to the Client shall constitute delivery to The Client. If requested by the Client the Supplier can provide insurance with regards to delivery at the expense of the Client. 3.5 The Supplier shall have the right to make any changes to the Services which are necessary to comply with any applicable law or safety requirement, or which do not materially affect the nature or quality of the Services, and the Supplier shall notify the Client in any such event. (c)the Client shall reimburse the Supplier on written demand for any costs or losses sustained or incurred by the Supplier arising directly or indirectly from the Client Default. (b)the Supplier shall be entitled to ask the Client for payment in advance prior to commencement of the Services and the Supplier may charge the Client for any expenses reasonably incurred by the individuals whom the Supplier engages in connection with the Services including, but not limited to, travelling expenses, hotel costs, subsistence and any associated expenses, and for the cost of services provided by third parties and required by the Supplier for the performance of the Services, and for the cost of any materials. 5.2 The Supplier reserves the right to increase its standard daily fee rates, provided that such charges cannot be increased more than once in any 12 month period. The Supplier will give the Client reasonable written notice of any such increase before the proposed date of the increase. in full and in cleared funds to a bank account nominated in writing by the Supplier, and in accordance with the invoice time period sent to the Client. 5.5 All amounts payable by the Client under the Contract are exclusive of amounts in respect of value added tax chargeable for the time being. 5.6 If the Client fails to make any payment due to the Supplier under the Contract by the due date for payment, then the Client shall pay interest accrued daily on the overdue amount at the rate of 4% per cent per annum above [FULL NAME OF BANK]’s base rate from time to time. 5.7 The Client shall pay all amounts due under the Contract in full without any set-off, counterclaim, deduction or withholding (except for any deduction or withholding required by law). 6.2The Client warrants, represents and undertakes that the source materials submitted for the Services do not contain any obscene, blasphemous or libellous content and do not infringe the Intellectual Property Rights of any third party and that the Services provided by the Client will not infringe the Intellectual Property Rights of any third party. 6.3 The Client agrees to indemnify the Supplier and keep it indemnified at all times against all or any costs, claims, damages or expenses incurred by the Supplier, or for which it may become liable, with respect to any Intellectual Property Rights infringement claim or other claim (including defamation, libel and so on) relating to the Services. 4. The protection of intellectual and creative works and their use by third parties, are subject to national legislation, bilateral agreements and international agreements, in particular the International Copyright Convention and the Berne Convention for the Protection of Artistic and Literary Works. […] When fixed in material form, of any nature whatsoever (printed, sound or audiovisual recording, records, discs, magnetic tapes, videograms, slides, films, wire, cable, transparencies, photocopies, microcards, or any similar method) the performance of the conference interpreter becomes a translation within the meaning of the Berne Convention and the exclusive rights foreseen in the Convention apply to the author. A party (receiving party) shall keep in strict confidence all technical or commercial know-how, specifications, inventions, processes or initiatives which are of a confidential nature and have been deemed by either party to be confidential and have been disclosed to the receiving party by the other party (disclosing party), its employees, agents or subcontractors, and any other confidential information concerning the disclosing party’s business, its products and services which the receiving party may obtain. The receiving party shall only disclose such confidential information to those of its employees, agents and subcontractors who need to know it for the purpose of discharging the receiving party’s obligations under the Contract, and shall ensure that such employees, agents and subcontractors comply with the obligations set out in this clause as though they were a party to the Contract. The receiving party may also disclose such of the disclosing party’s confidential information as is required to be disclosed by law, any governmental or regulatory authority or by a court of competent jurisdiction. This clause 7 shall survive termination of the Contract. (c)breach of the terms implied by section 2 of the Supply of Goods and Services Act 1982 (title and quiet possession). (b)the Supplier’s total liability to the Client in respect of all other losses arising under or in connection with the Contract, whether in contract, tort (including negligence), breach of statutory duty, or otherwise, shall in no circumstances exceed the amount of the invoice the Client has been charged for the Services. (d) ensure that adequate health and safety and security precautions are at place at the Premises. (a) 10 or more Business Days prior to the start of the Order 70% of the Charges. (b) 9 to 0 Business Days prior to the start of the Order 100% of the Charges. (c) 100% of the Charges once the booking is confirmed from 1 April to 30 June and from 1 September 30 November each year. 9.3 Without limiting its other rights or remedies, the Supplier may terminate the Contract with immediate effect by giving written notice to the Client if the Client fails to pay any amount due on the due date for payment and fails to pay all outstanding amounts within 7 days after being notified in writing to do so. 11.1 The Supplier shall not be liable to the Client as a result of any delay or failure to perform its obligations under this Contract as a result of a force majeure event, If the force majeure event prevents the Supplier from providing any of the Services for more than 2 weeks, the Supplier shall, without limiting its other rights or remedies, have the right to terminate this Contract immediately by giving written notice to the Client. (a)The Supplier may at any time assign, transfer, mortgage, charge, subcontract or deal in any other manner with all or any of its rights under the Contract and may subcontract or delegate in any manner any or all of its obligations under the Contract to any third party or agent. (b)The Client shall not, without the prior written consent of the Supplier, assign, transfer, mortgage, charge, subcontract, declare a trust over or deal in any other manner with any or all of its rights or obligations under the Contract. 12.5 Governing law. This Contract, and any dispute or claim arising out of or in connection with it shall be governed by, and construed in accordance with the law of England and Wales and each party agrees that the courts of England and Wales shall have exclusive jurisdiction. In these terms and conditions, User or Users means any third party that accesses the Website and is not either (i) employed by Rie and acting in the course of their employment or (ii) engaged as a consultant or otherwise providing services to Rie and accessing the Website in connection with the provision of such services. 3. You must not otherwise reproduce, modify, copy, distribute or use for commercial purposes any Content without the written permission of Rie. b. making, transmitting or storing electronic copies of Content protected by copyright without the permission of the owner. 6. This Website may contain links to other sites. Unless expressly stated, these sites are not under the control of Rie or that of our affiliates. 8. The inclusion of a link to another site on this Website does not imply any endorsement of the sites themselves or of those in control of them. 10. 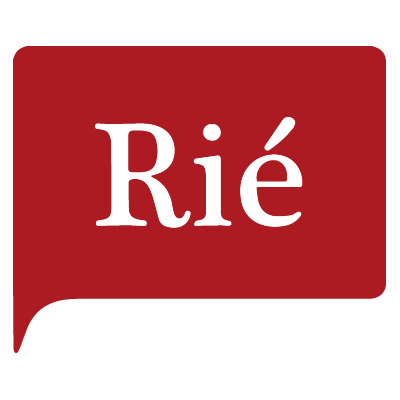 Any online facilities, tools, services or information that Rie makes available through the Website (the Service) is provided “as is” and on an “as available” basis. We give no warranty that the Service will be free of defects and/or faults. To the maximum extent permitted by the law, we provide no warranties (express or implied) of fitness for a particular purpose, accuracy of information, compatibility and satisfactory quality. Rie is under no obligation to update information on the Website. 11. Whilst Rie uses reasonable endeavours to ensure that the Website is secure and free of errors, viruses and other malware, we give no warranty or guaranty in that regard and all Users take responsibility for their own security, that of their personal details and their computers. 12. Rie accepts no liability for any disruption or non-availability of the Website. 13. 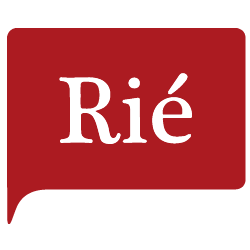 Rie reserves the right to alter, suspend or discontinue any part (or the whole of) the Website including, but not limited to, any products and/or services available. These terms and conditions shall continue to apply to any modified version of the Website unless it is expressly stated otherwise. 15. To the extent that the Website and Content are provided free of charge, we will not be liable to you for any loss or damage of any kind. 24. These terms and conditions will be governed by and interpreted according to English law. All disputes arising under these terms and conditions will be subject to the exclusive jurisdiction of the English courts. 25. Rie Hiramatsu of hiramatsu@rie.london operates the Website. Website the website that you are currently using, https://www.rie.london/, and any sub-domains of this site unless expressly excluded by their own terms and conditions. e. Information regarding the work that is required from you. 4. For purposes of the Data Protection Act 1998, Rie is the “data controller”. 5. We will retain any Data you submit for 12 months. 6. Unless we are obliged or permitted by law to do so, and subject to any third party disclosures specifically set out in this policy, your Data will not be disclosed to third parties. This does not include our affiliates and / or other companies within our group. 7. All personal Data is stored securely in accordance with the principles of the Data Protection Act 1998. For more details on security see the clause below (Security). 9. Rie may, from time to time, employ the services of other parties for dealing with certain processes necessary for the operation of the Website. The providers of such services do not have access to certain personal Data provided by Users of this Website. 12. We may also disclose Data to a prospective purchaser of our business or any part of it. 13. In the above instances, we will take steps with the aim of ensuring your privacy is protected. 16. sharing Data with third parties. 18. You have the right to ask for a copy of any of your personal Data held by Rie (where such Data is held) on payment of a small fee, which will not exceed £5.00. 19. Data security is of great importance to Rie and to protect your Data we have put in place suitable physical, electronic and managerial procedures to safeguard and secure Data collected via this Website.